In and of itself, snoring is not problematic—and just about everyone may snore at some time during sleep depending on his or her sleeping position at the time. Trouble brews, however, among those snorers who also have sleep apnea. In this case, the same tissue that merely vibrates during snoring in Plano tends to fall back in your throat and block your breathing passageway. When this happens, breathing can stop completely and may restart with a snort or loud gasp. 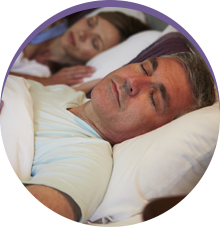 Whether a sleep study shows that you are a snorer or that you have sleep apnea, Dr. Fedosky can treat either with a custom designed oral appliance. 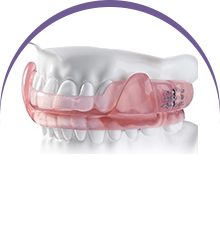 This mandibular repositioning device (MRD) gently shifts your lower jaw and tongue forward in order to open your airway. Worn nightly, it can help you and your bed partner get a peaceful night of sleep. 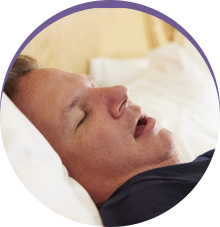 If you or a loved one snores at night, make sure the reason is not the more serious concern of sleep apnea. To schedule a consultation with Dr. Fedosky, contact Sleep Rehab today.